Spring into Spring: in-season foods to give you that extra lift! Spring has officially sprung! The days are getting longer and, with this, our thoughts turn to what’s in season right now. Creating new and exciting dishes from the fresh, seasonal foods now available to us is a great way to refocus your diet and increase the number of nutrients you take in every day. 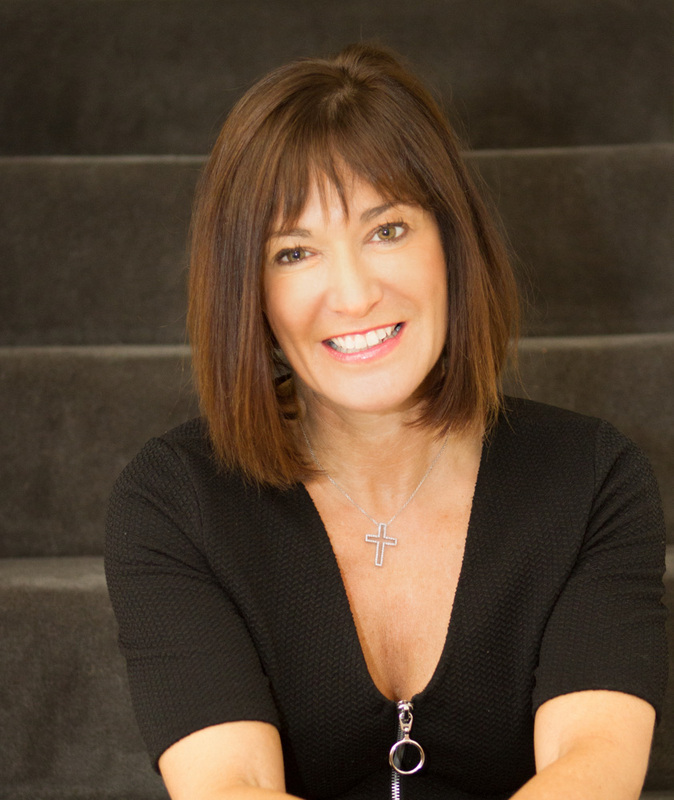 Clinical Nutritionist, Suzie Sawyer, gives us her top springtime foods and why they’re so beneficial to our health. 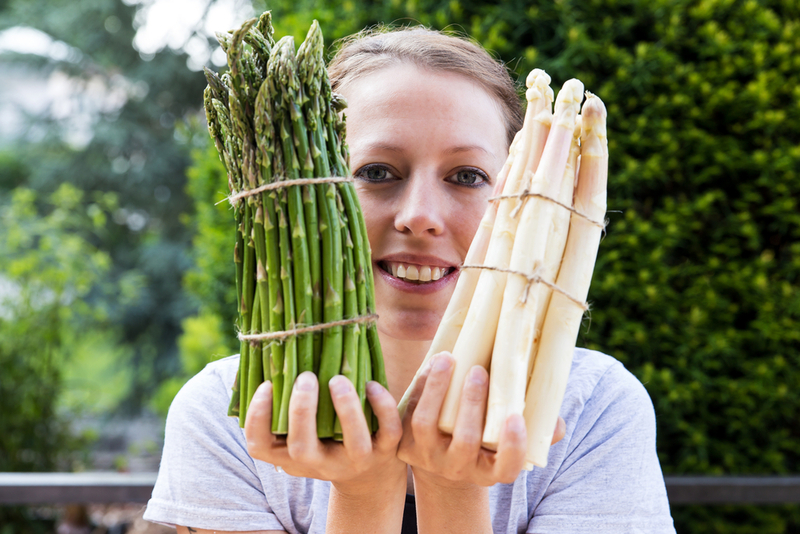 Traditionally a springtime food, with the best British asparagus coming into season from April onwards, this is one vegetable that is certainly best eaten in season. There’s nothing quite like eating British asparagus during the right season; it is full of flavour and very versatile, making a delicious starter to any meal, perhaps with a light hollandaise sauce, accompanied by a poached egg or wrapped in Parma ham. It is also a popular vegetable accompaniment to any meal and can certainly hold its own in terms of its nutritional status: asparagus is packed full of vitamins A, C, E and K, providing support for the immune system, as well as containing a good balance of the B vitamins for energy, and chromium to help keep blood sugar levels in balance. It’s simply delicious lightly roasted in the oven with a little olive oil, and even better cooked on the barbecue! The most commonly eaten crab in the UK is brown crab and this comes into season in April. Crabs look the way they do from the outside due to their large skeleton and it is this skeleton which protects some really delicious and nutritious flesh. And as with many aspects of nature, the female flesh is much sweeter than the male – true fact! Crab can be seen as quite ‘rich’ in taste, but it is low in saturated fats and high in heart-healthy omega 3 unsaturated fats, making it a great, low calorie food choice. Additionally, it contains a range of vitamins including vitamins A, C plus the B vitamins. It also provides selenium which is frequently lacking in the Western diet. 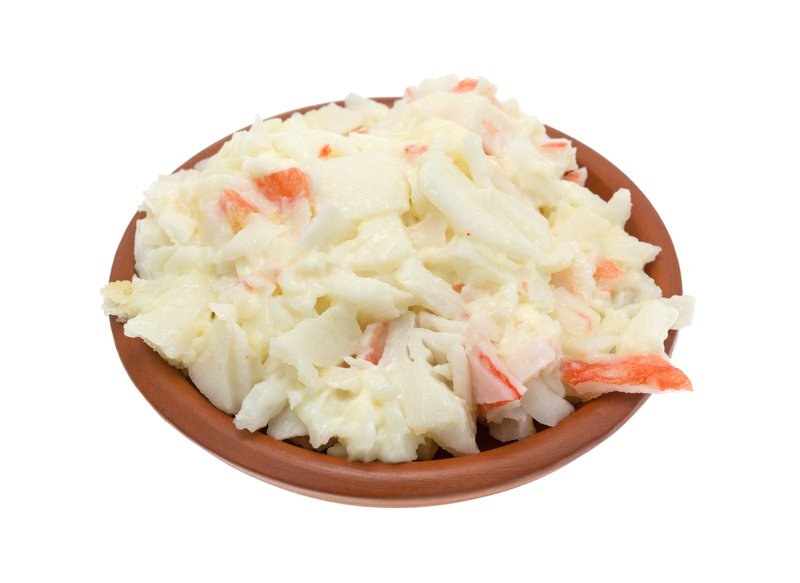 So, why not ‘grab some crab’ from your fishmonger today and enjoy its many nutritional benefits! Carrots generally find their way into most family’s shopping trollies on a weekly basis and for very good reason – they’re delicious, nutritious and versatile. Plus, they’re coming into season right now! It is always preferable to buy organic fruit and vegetables to reduce the potential pesticide load on the body, but organic carrots genuinely taste so much better. As with all brightly coloured vegetables, they are bursting with nutrients. They’re rich in beta carotene, which can be converted into vitamin A within the body, and Vitamin A fulfils many functions including supporting night vision, hence the recommendation to eat carrots in order to see in the dark! 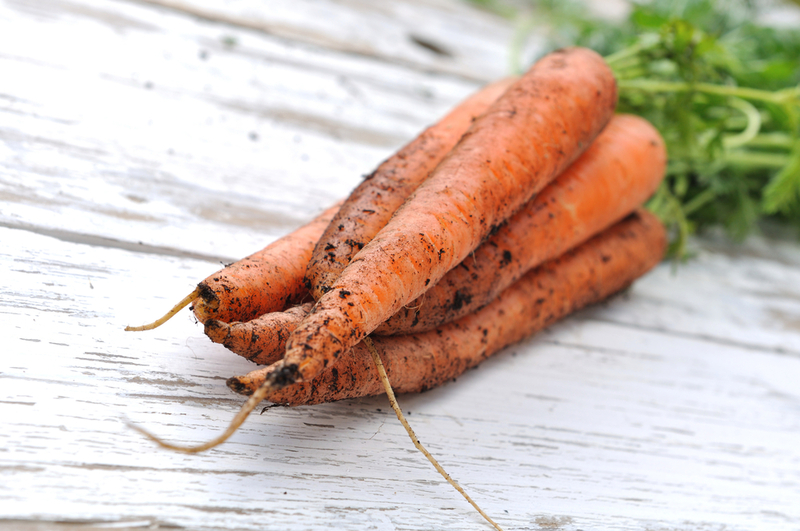 Carrots can be eaten in so many ways: raw with a delicious homemade dip, roasted with other vegetables, added into soups (carrot and coriander is particularly delicious), in juices or best of all in carrot cake! 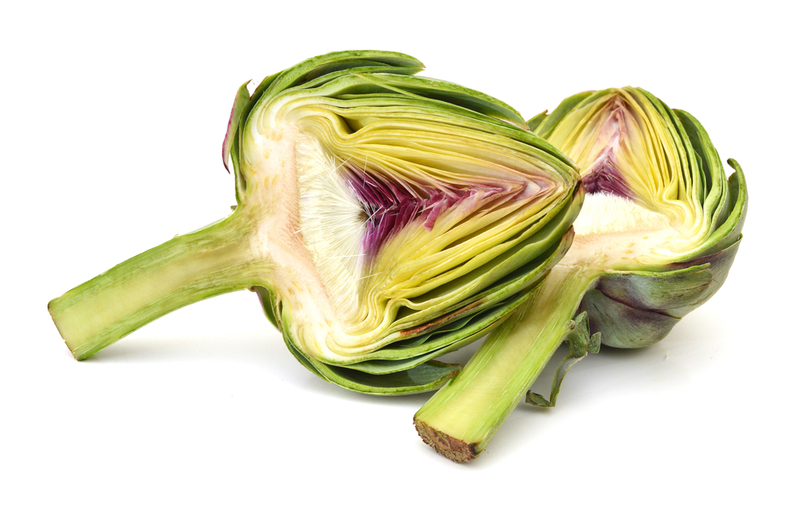 There are two types of artichoke, which look completely different to each other, but both come into season in spring. The Jerusalem artichoke, actually has no association with Jerusalem but hails from America. The globe artichoke, is commonly referred to as the ‘real artichoke’ and is part of the thistle family. However, both have a rightful place in the store cupboard and have great health benefits. As well as being very tasty roasted (they have a slightly sweet flavour), Jerusalem artichokes provide enormous benefits for the digestive system. Jerusalem artichokes are rich in inulin – a type of fibre that feeds the natural good bacteria in the digestive tract. Globe artichokes are also good for the digestion and equally delicious in a variety of dishes. They are often seen on an Italian anti-pasti menu! They can be boiled whole (remove the tough outer leaves first) and then they can be eaten with garlic or grated parmesan. Don’t forget to remove the middle ‘choke’ but they can then be halved and roasted or barbecued. A great spring treat! As with most fruits and vegetables, strawberries are available in the supermarkets all-year round. However, they’re truly delicious when in season and purchased from local farmer’s markets. The season doesn’t officially start until later on in April and slightly varies from year to year, depending on the individual harvests. 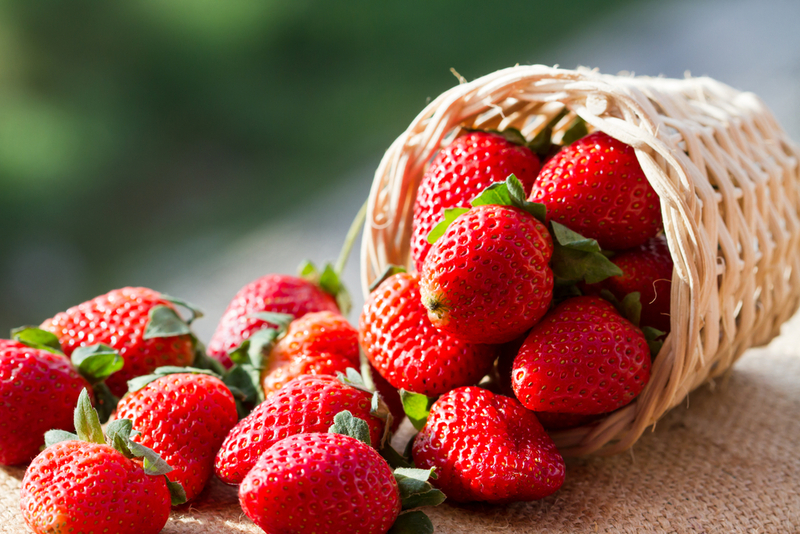 Strawberries contain high levels of vitamin C, which is great for the skin and immune system. Their beautiful colour means they contain significant levels of phytonutrients and antioxidants which help to fight free radicals – they are little heart-shaped nutritional powerhouses! There’s no better way to eat strawberries than just as they are – plain and simple! Enjoy all the delicious foods on offer right now and celebrate the joys of spring by getting seasonal! ← How to treat yourself after Lent but keep up the good healthy eating habits!